Hey everyone! I hope you all doing well and having a lovely weekend. 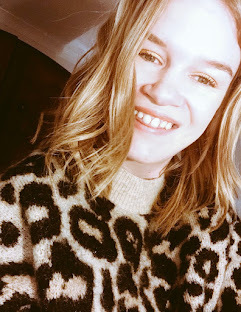 Today's post I wanted to share with you a blouse that I am constantly dreaming about it and absolutely fell in love with it. It has to be one of the most favourite patterns I have ever seen and it really does look great and you can see why everyone is going on about it so much! Gingham for myself has been something that I loved seeing in shops and reading other fashion blogs but seeing it on myself was totally different purely because all I could think about was how on earth I was going to style this. Then by magic I came across this one from Topshop and I was so drawn to it and just thought to myself 'wow, I love it'. I was looking to buy clothes when I went to Berlin and I thought this would be the perfect blouse to wear on an evening with my jeans however this would totally look great with colourful trousers too. Not only was attracted to the monochome blouse but the fact it had a retro-feel to it and not only that but the puff sleeves which gathers at the shoulder. It is finished with the cutest tie you will ever see and that is what I generally love the blouse so much! The only thing I would say about the blouse is when you are buying it it is called a tall gingham blouse which I didn't realise until I was looking at it online. Of course it is great for you any of you like myself who are tall because you can either tuck it in or simply just wear it loose. Here is a photo of myself in Berlin with some German beer which I loved and sat having a lovely meal (almost a week ago) with one of my closest friends.